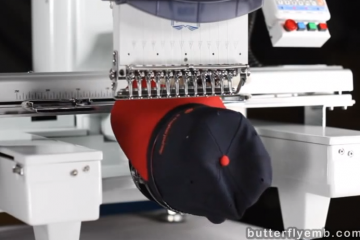 The Embroidery Thread Path on the Butterfly embroidery machine (and any other comercial embroidery machine) is very important for optimal embroidery quality and performance. Typically when the machine is not threaded properly, it will not run. 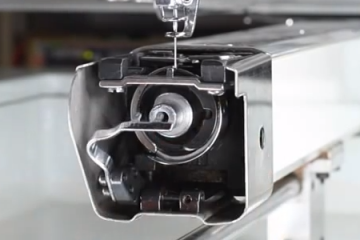 It will either break threads, not report thread breaks, report false thread breaks, or pop out of the needle and or the trimming mechanism often. The images shown in the post show the embroidery thread path for the Butterfly embroidery machine on the tension board / thread break board. The wheels help detect thread breaks and help keep the thread moving smoothly. It is very important that this wheel spins during embroidery operations. Sometimes wrapping around the wheel 1/2, 1, 1 1/2, or 2 times is necessary. 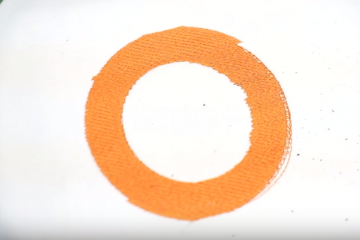 When changing thread colors, or spools, there is not much need to rethread the machine. Simply break off the current spool thread and tie the new color on, using a square knot. The flat nature of the square knot will help the new tied on thread pass thru the needle.